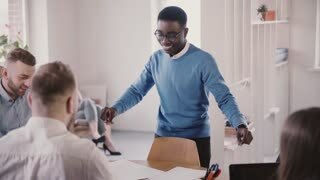 Search Results for "funny office"
Young clerk won the jackpot. Emotional young people. Funny colleagues. Office employees are rooting for a colleague. Working break in office. 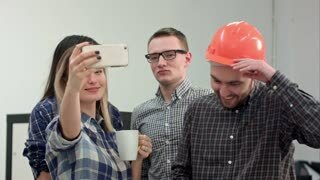 Office workers watching funny video and laughing. 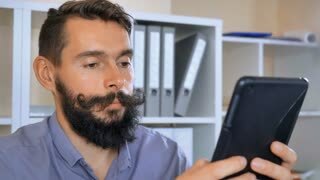 Happy businessman using digital tablet standing in office. 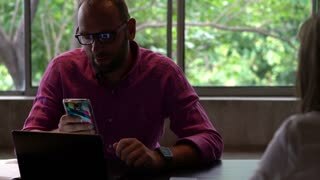 Mature businessman having funny conversation online using tablet. Bright blurred background. 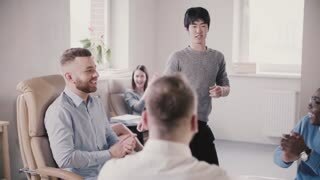 Happy Asian manager doing very funny celebration dance walk in modern office, multi-ethnic colleagues clap and laugh 4K. 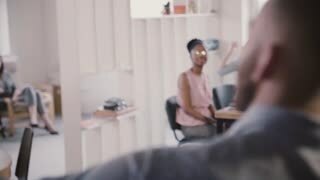 Woman typing on the computer. Funny girl. Lady working in the office. Business woman on the workplace. 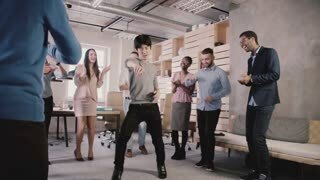 Funny crazy dancing businessman celebrating victory with excited multi-ethnic colleagues in modern light office 4K. 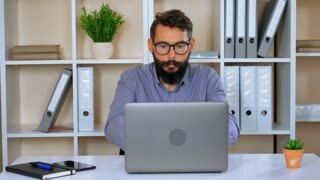 Funny office Manager bearded man, works vigorously at the laptop. Funny office Manager got a boost of vivacity from coffee.